Hostmysite.com :: How do I create a catch-all email address? The following article explains how to create a catch-all email address. A catch-all email address will direct any email messages sent to an email account that does not exist on your domain name to a designated email account. A catch-all email address may be created only by the root user. If the alias does not yet exist, create the alias you wish to use as the catch all. 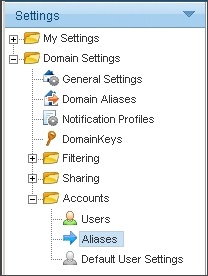 Instructions for creating an email alias can be found here. Select the alias to be the catch-all.